There are 8 reviews of Eau Rose . First glance projects an innocent, simplicity. The Heart contains measured notes of a Rose. That of sisters. There is a whisper of Orris rigidity. It is then, I feel the thin, layered, light acidity of Bergamot, that just, illuminates, a bouquet of Lychee Currant Jam. Moss? Wood? A fuzzy backdrop, possibly, HQ WAC, that rarely intrudes and provides a textured canvas. The test, for me, is to find, a story told, of the Frilly, Pink, Culotte, that is Centifolia. Simply missing, the complex Musk, of the Human Feminine. This, is for, the girls to wear. The boys? We'll simply follow. I smell the rose immediately upon spraying: It’s a clean rose with underlying bergamot and lychee notes, creating a full rose accord which is quite nuanced, full, and very enjoyable without being too strong… The rose subtly changes as the fragrance proceeds, getting even cleaner and lighter with a tinge of a geranium edge to it: this more diminutive rose I enjoy even more than the first rose accord. The remainder of the fragrance is a silky rose / musk – very light and clean… an excellent skin scent. Eau Rose is an uncomplicated, clean and light rose scent. Though not a soliflore, it comes across to me with an aura of delicate, feminine minimalism. Very nice. I picked up the 7.5ml travel size before I parted with my hard-earned greenbacks. I don't get lychee, blackcurrant or begamot...what I do get however, is Parma Violets anyone else? And of course roses (obvs!) - That said, I absolutely LOVE this. When it dries down I get a really lovely, fresh, light fragrance. I could easily wear this all day, but I do feel the sillage only lingers for a couple of hours - max. I need to spray this at least 3-4 times throughout the day on skin but if I spray this on my cuffs (clothing, ahem) - it lingers throughout the day, which please me no end. For me I'd give this an 8/10. I'd certainly buy the full size bottle. It has taken me a few years to try another Diptyque rose after my horrendous brush with the truly awful L’Ombre Dans L’Eau, but being the trooper I am, I picked myself up, dusted myself off, and reached out my hand for the tester bottle of Eau Rose in Space NK on a recent trip to Dublin. Actually, let me be completely honest with you here – I did not spray it on myself. My two-year-old daughter volunteered. You should have seen her manfully rolling up her sleeves and offering her teeny, tiny wrists to me, looking the other way, and murmuring “Do what you must, Mother.” (I swear this happened). And you know what, Eau Rose is really nice! We both liked it a lot. It smells like small, pink roses freshly picked and strewn over a bowl of water – it’s very fresh, sweet (without being jammy or saccharine), and unlikely to offend anyone. What I appreciated about Eau Rose in particular is that it maintains its perky, full-figured character all the way through and never turns sour. I hate sourness in a rose – or excessive greenness. The litchi and blackcurrant add a juicy fruitiness that tickles the tongue, and the geranium a hint of cool minty leafiness that plays nicely against the sweet, pink rosiness. In the dry down, there’s a quiet (white) honey and musk combo forming a cushion under the fruity rose, and it all feels quite natural and solid. I can’t tell you exactly how long it lasted because at some point my daughter’s wrists became smeared in seagull poo. Don’t ask. Although a little too simple for my tastes, Eau Rose would be an excellent starter rose for anyone (well, honestly probably just those of the female persuasion) who wants a true rose without any greenery, woods, oud, or heavy gourmand notes to sully its purity. I suspect that it would also be brilliant for layering. A complex, shifting scent. Very distinct phases. 1. Green, aquatic opening. Very green and sappy, quite natural and pleasing. 2. A DEEP DEEP rose, really excellent. Velvety, romantic yet not heavy. 3. An quirky, celery-leaf or toasted nut chord. Quasi-leather, rather clover-y honey. 4. The re-emergence of the rose. This is a pleasant surprise. I had given up on it. But it is back, and improves phase 3. Phase four is lovely, with rose and hay-moss notes in combination. This is another excellent phase, and certainly something a guy could enjoy. Something like a blond tobacco-leaf note here. Phase #2 (the rose) is excellent but brief. It makes an interesting return in phase 4, with complexity. To my taste the honey could be kicked back two notches in phase 4, otherwise a real winner. well, rose fans should check this out. It is a volatile chimera. Intriguing. After a sweetish opening that is based amon berries with a touch of freshness, a clean and bright rose takes over and remains domainant until the end, at times reminiscent of a high-quality version of its Isseyi Miyake namesake. Whitenmusk and honey are added in the drydown, but on me this remains above all a nice, high-quality rose fragrance. There are no member images of Eau Rose yet. Why not be the first? Can Eau Rose by Diptyque be pulled off by a man? 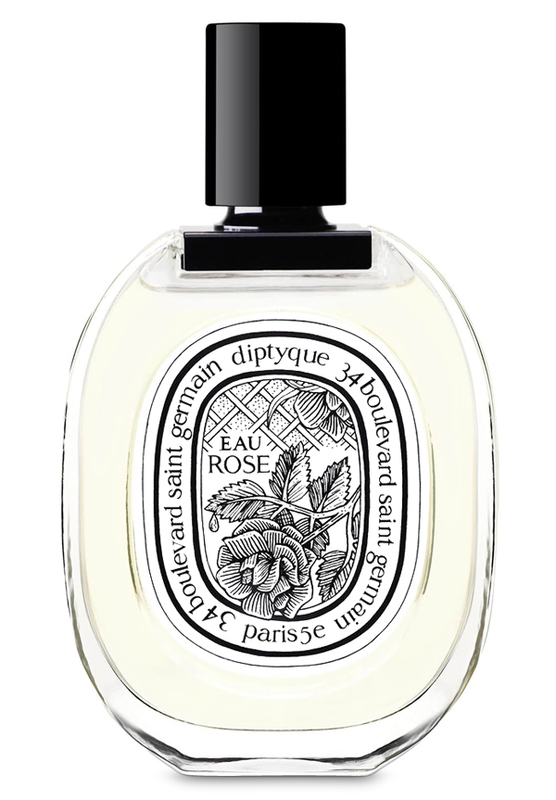 Diptyque Eau Rose - a truly unisex rose!